MiMic on jsdo.it is ready! You can enjoy physical computing programming by only the mbed with MiMic. 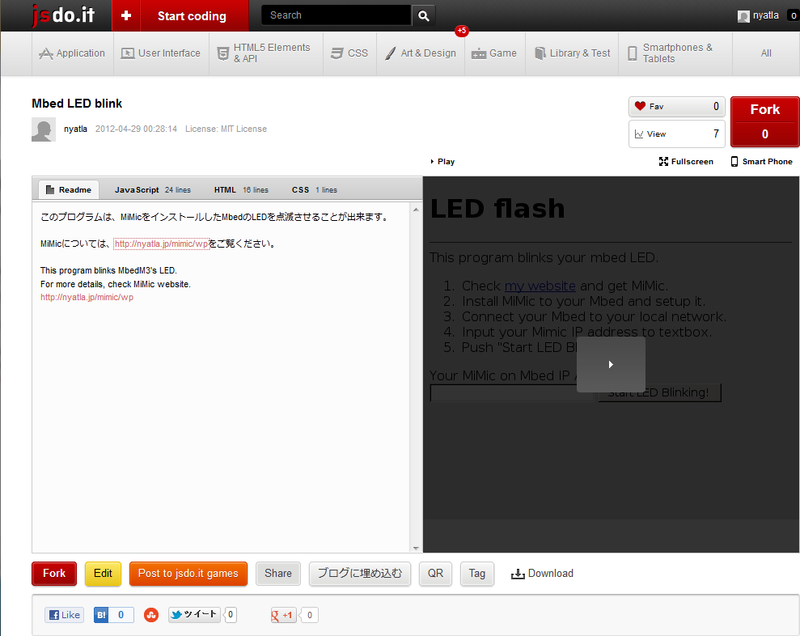 The program which blinks LED of mbed was shared as a sample. It can try on mbed which installed MiMic. See GettingStarted and setup MiMic to your mbed/LPCXpresso1769. Input your mbed’s IP address, LED will blink. Fork sample, pray it. API manual is here.